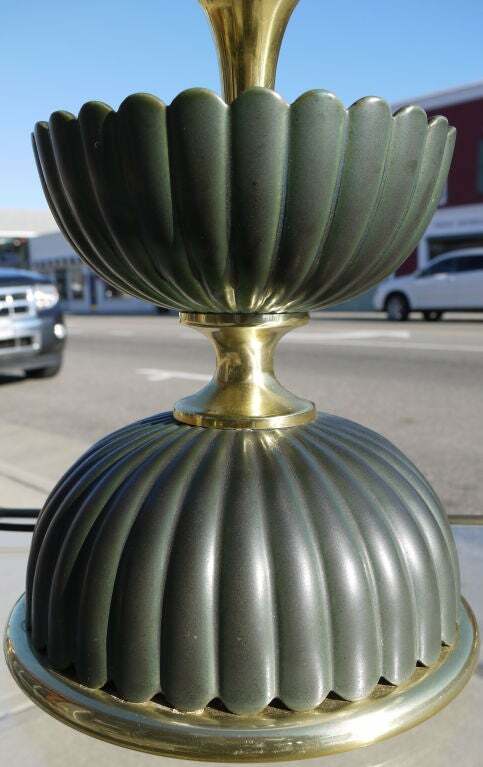 excellent(one finial has a small professionally repaired chip, but listed as excellent because most are missing the original finials all together... ). 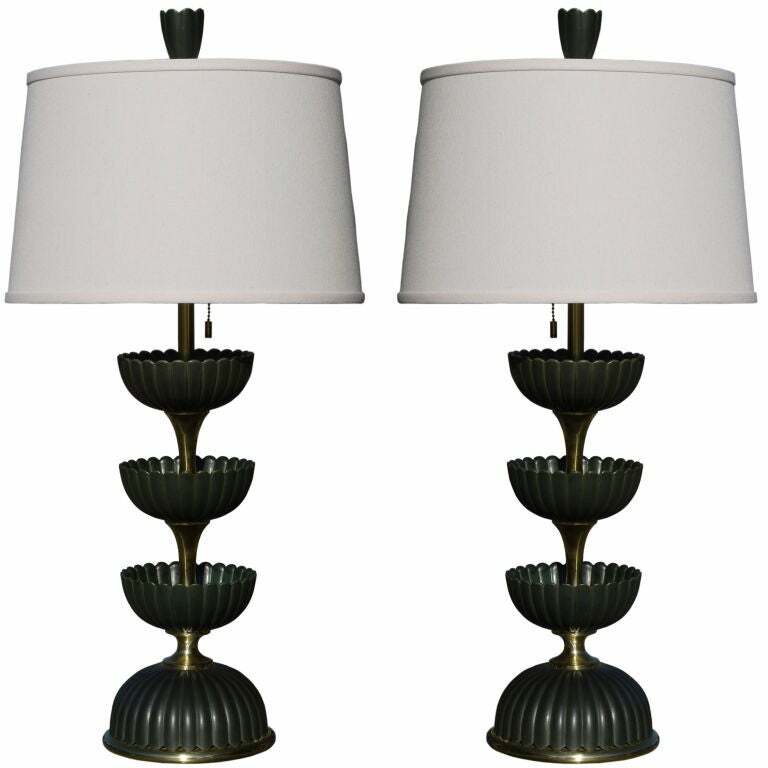 Stunning pair of Gerald Thurston for Lightolier table lamps, circa 1950. 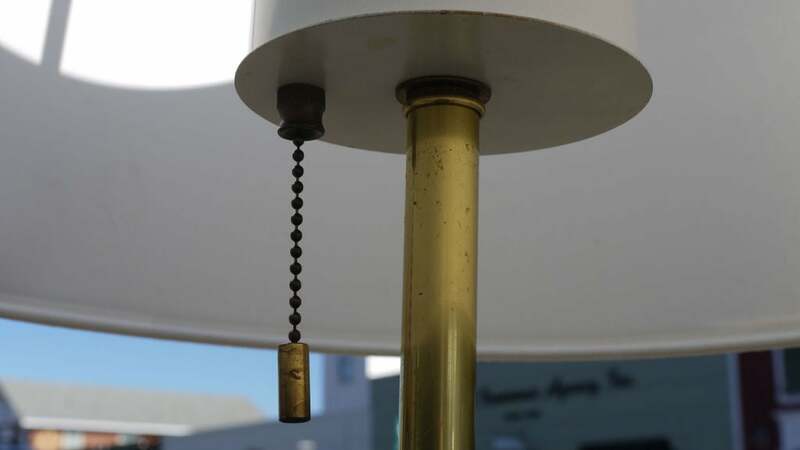 These lamps are all original including original shades. 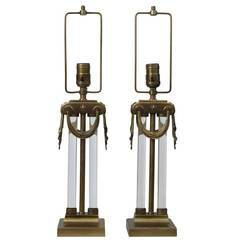 Stunning pair of heavy brass lamps by Mutual Sunset with glass columns built into the lamp. 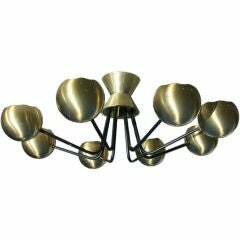 Produced in the 1930s these are a stunning example of Art Deco design. 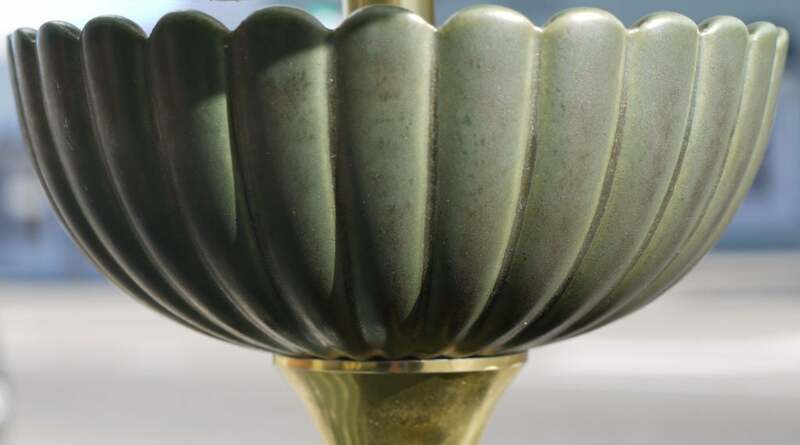 A chic American midcentury ceramic 'lotus' lamp by Gerald Thurston for Lightolier; the tall lamp fitted with graduated lotus style ceramic cups joined by brass dividers. 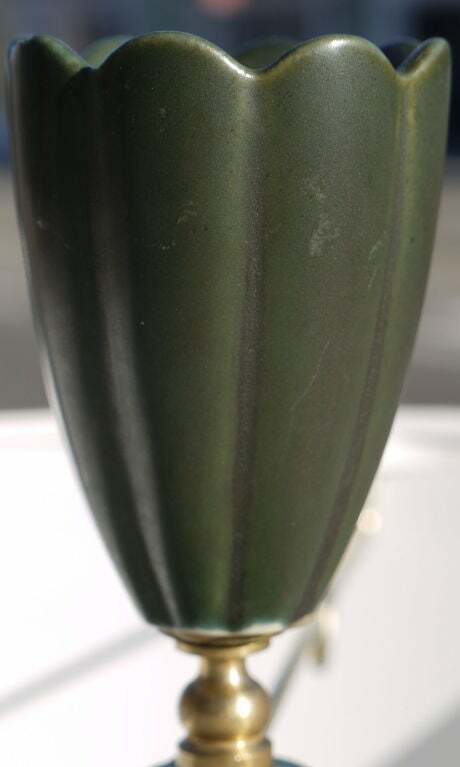 Sculptural Ceramic Lamps by Gerald Thurston, American, circa 1950s. The price noted below includes the shades. Rewired. Pair of Gerald Thurston for Lightolier Porcelain Lamps. 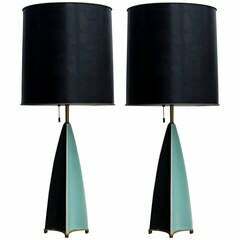 Pair of midcentury lamps attributed to Gerald Thurston.